For my loyal readers (and a whole bunch of disloyal ones), my support of the flu vaccine is pretty obvious. It may not be perfect, but it is incredibly safe, and it protects against a dangerous, and often underrated, disease. According to a newly published article, we have evidence that the flu vaccine for nursing mothers is safe and effective. Flu vaccine for nursing mothers – why is it important? Despite the pernicious myths made about the flu vaccine, your best weapon to avoid the effects of influenza is the seasonal vaccine. The known overall safety and effectiveness of the flu vaccine means it is the most powerful tool in preventing the flu. The flu can be deadly, even for healthy young women. The effects of the flu can last up to 14 days, making it difficult for childcare along with other activities like work. The mother may pass the virus to the infant, who is significantly more susceptible to dangerous outcomes from the flu than healthy adults. I cannot stress enough how dangerous the flu can be. Preventing the flu, for both yourself and for others around you, should be a goal every fall. In a paper published in the journal Vaccine, researchers examined the safety and effectiveness of both the live attenuated influenza vaccine (LAIV), which are used in nasal flu vaccines, and the inactivated influenza vaccine (IIV), which are essentially dead viruses used in all other vaccines. The study was a randomized, double-blind study that was performed during the flu seasons of 2011 to 2012 and 2012 to 2013 to compare the immunogenicity of LAIV to IIV along with safety for both mother and infant. A total of 248 mothers and 249 infants of those mothers were enrolled in the clinical trial. In one group, mothers received LAIV or intramuscular placebo; the other group had mother receive IIV or intranasal placebo. Breast milk and serum antibody responses, measured at day 0 and 28, showed breast milk IgG, breast milk IgA (H1N1 only), serum hemagglutination inhibition (HAI), and serum IgG responses were significantly higher following administration of IIV compared with LAIV. It is important to note that milk and nasal swabs were collected on day 0, 2, and 8 to detect the transmission of LAIV to infants found that 1 mother who received LAIV transmitted vaccine virus to the infant, who remained healthy. It’s difficult to make much out of just one case of transmission. No virus was detected in breast milk. Investigators found that breast milk IgA to H1N1 was higher in IIV recipients compared with LAIV recipients (P =.003), and IgG titers were higher for all 5 strains over both influenza seasons (P ≤.0002). Along with the potential risk of viral transmission of LAIV from mothers and the better immunogenicity of the IIV version of the vaccine, it might be better to recommend the inactivated version of the flu vaccine. Breast milk and serum antibody responses were higher for IIV compared to LAIV. LAIV and IIV were safe for nursing women but there was one (1%) possible transmission of LAIV to an infant. 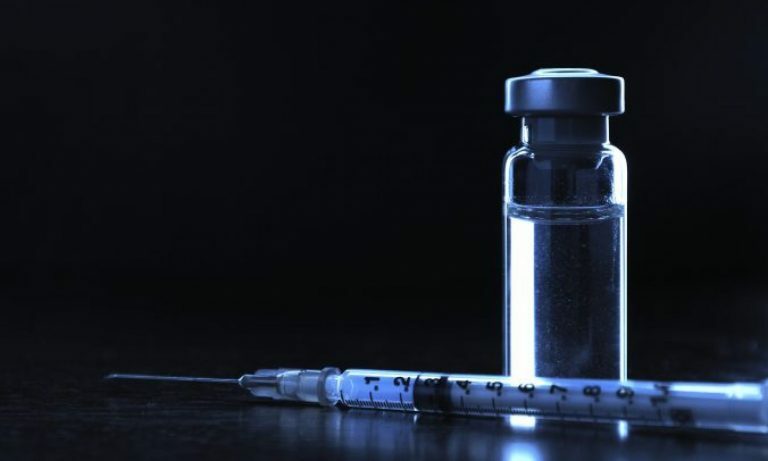 This study suggests that IIV may be the preferred vaccine for nursing mothers. This newly published study shows that the flu vaccine for nursing mothers is safe and effective in protecting both the mother and child from the flu virus. Given the overall dangers of the flu, including hospitalization and death, this study should help encourage nursing mothers to protect themselves from the flu. Brady RC, Jackson LA, Frey SE, Shane AL, Walter EB, Swamy GK, Schlaudecker EP, Szefer E, Wolff M, McNeal MM, Bernstein DI, Steinhoff MC. Randomized trial comparing the safety and antibody responses to live attenuated versus inactivated influenza vaccine when administered to breastfeeding women. Vaccine. 2018 Jul 25;36(31):4663-4671. doi: 10.1016/j.vaccine.2018.06.036. Epub 2018 Jun 28. PubMed PMID: 29961606.